A tour starts from Matera, a unique city famous for the buildings carved into the rocks; the town has been designated as ‘European Capital of Culture’ for 2019. 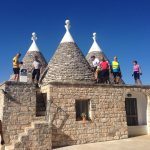 Among rolling hills and olive groves you will arrive in the Valle d’Itria: land of the ‘trulli’ – unique stone buildings with conical roofs, reminiscent of goblins’ homes. 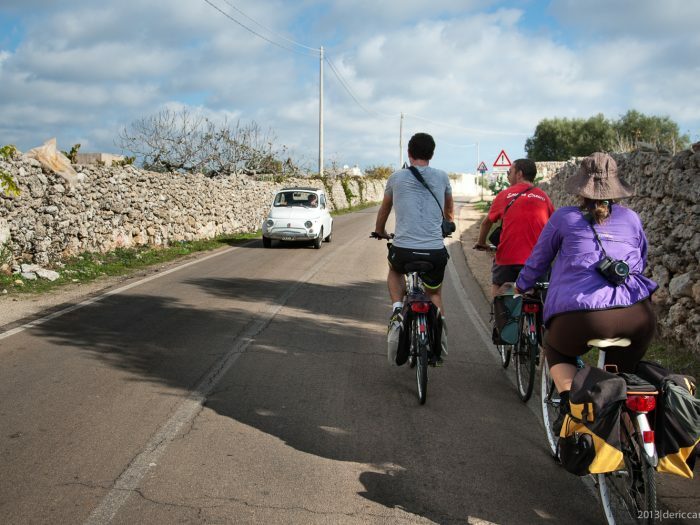 As you continue further south, towards Salento, the land flattens out and becomes increasingly more arid, and you will cycle through vineyards bordered by dry stone walls. You will have a possibility to visit the most beautiful beaches of the region, in the province of Taranto. 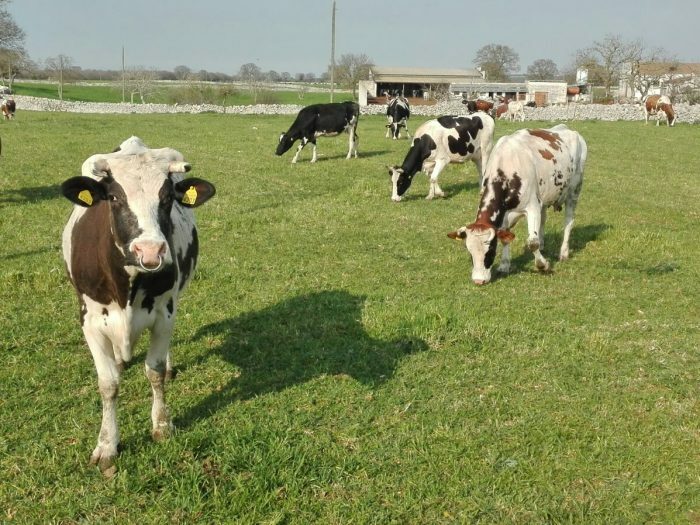 Along the way you will stop to taste the best cheeses, wines and bakery products of this area. 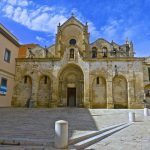 Finally, you’ll arrive in Lecce, the ‘Florence of the South’, that will enchant you with its baroque architecture and the hospitality of its inhabitants. ***The itinerary is only indicative, detailed description and any other information will be available at the moment of confirmation. Arrival in Matera, meeting with our representative for a briefing and a delivery of your bikes and GPS. 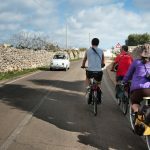 Pedaling towards Alberobello, the first town you come across is Gioia del Colle, known for its mozzarella and its burrata: definitely worth a stop to taste them, as well as to visit its twelfth-century castle. 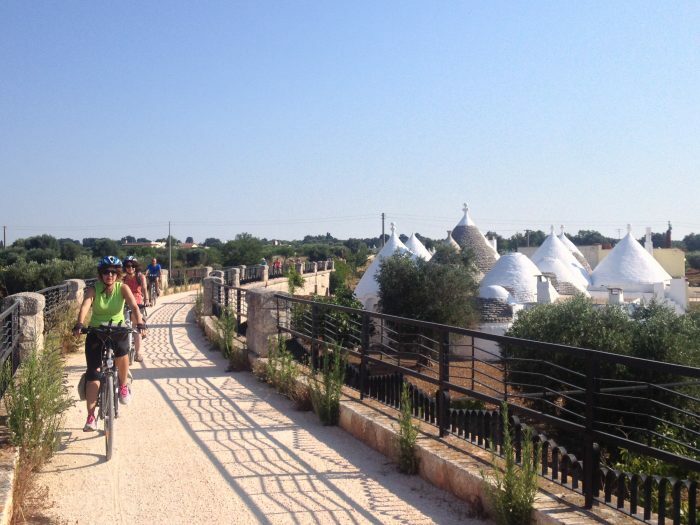 Moving on from Gioia del Colle, you enter the Valle d’Itria, characterized by the unique architecture of the trulli, the peculiar stone buildings with conical roofs. Next stop is Noci, where – through the narrow streets of the old town – you can bask in the light of the sun reflected off its lime-white roofs. 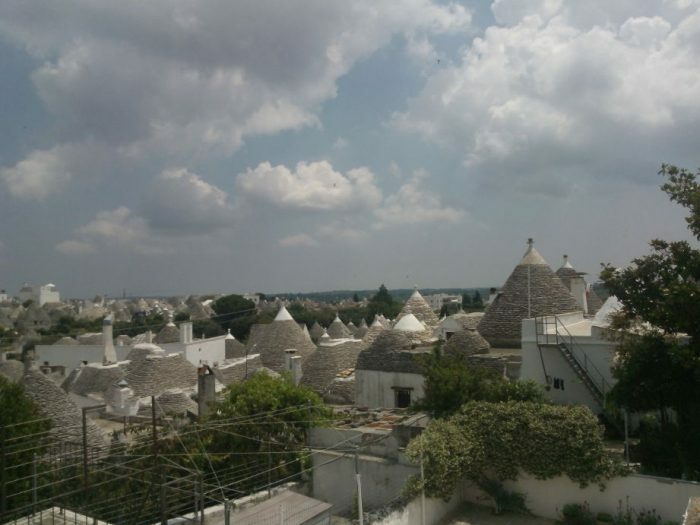 In the afternoon, you’ll arrive in Alberobello, the UNESCO World Heritage Site since 1996, thanks to its 1,500 trulli. 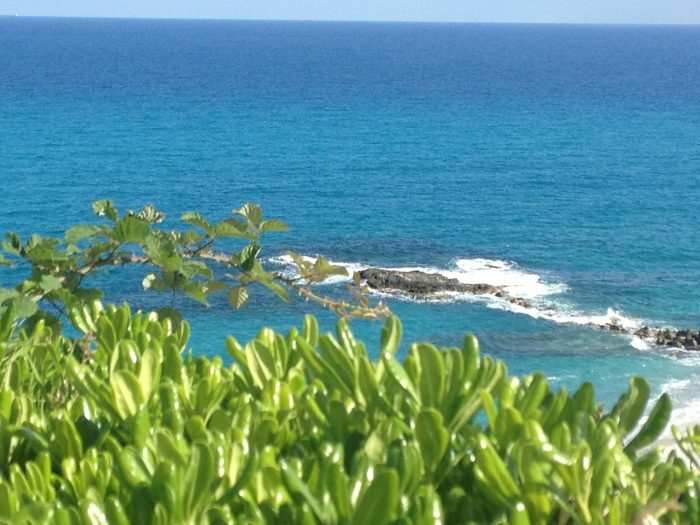 The day is dedicated to explore Valle d’Itria. 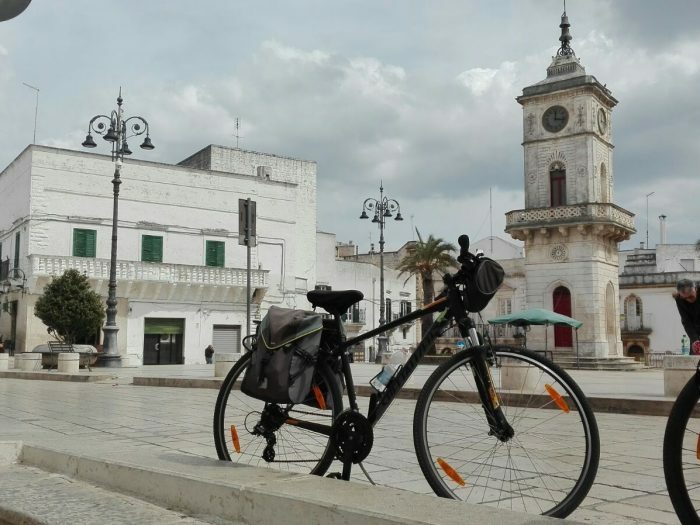 Leaving Alberobello the first stop is Martina Franca. 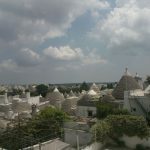 Less touristic than Alberobello, it has retained its own particular charm. The old town is surrounded by stone walls with baroque gateways, leading to the main square. You can visit the Ducal Palace or taste the famous capocollo of Martina Franca, a Slow Food Presidium. 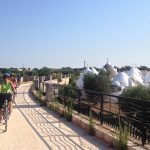 Leaving behind Martina Franca you will ride towards the ‘Pomona’ botanical conservatory: a real biodiversity sanctuary where they have hundreds of fruit trees from all over the Mediterranean. Next stop is Locorotondo, which has been nominated one of the ‘most beautiful villages in Italy’, charming for its architecture and famous for its wine, white and slightly sparkling. Walking through the picturesque old town you can admire the architecture of the ‘cummerse’: the rectangular buildings with sloping roofs made of chiancarelle. 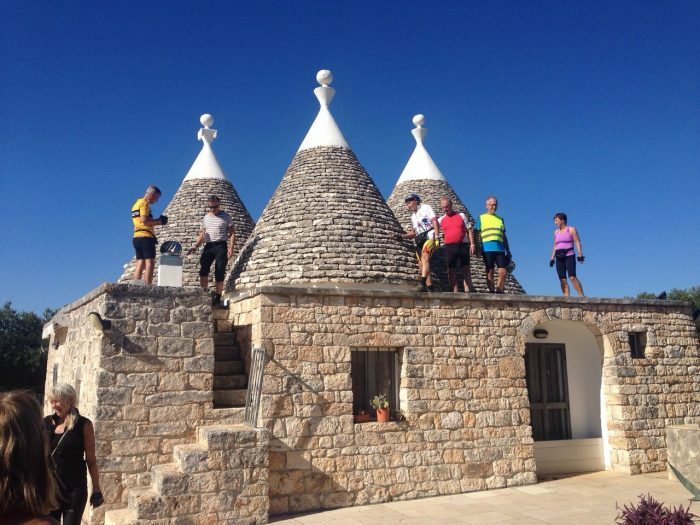 Moving from Locorotondo, crossing vineyards dotted with trulli, you will return to Alberobello. The longest section of the trip will take you up to Avetrana, crossing the border between Valle d’Itria and Salento. 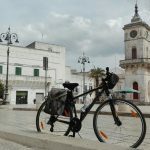 Passing by Martina Franca, you’ll travel along a short section of the ‘Aqueduct Cycleway’, a path along the aqueduct of Puglia (which brings water from Campania all the way down to Salento). 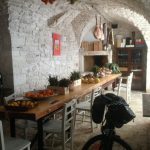 Then you’ll continue to Ceglie Messapica, a city known for its bread, you can taste it in one of the oldest bakeries in the city. In Francavilla Fontana you can visit the Basilica Minore of the Holy Rosary and Argentina Palace. Next stop is Oria, ‘city of witches’. 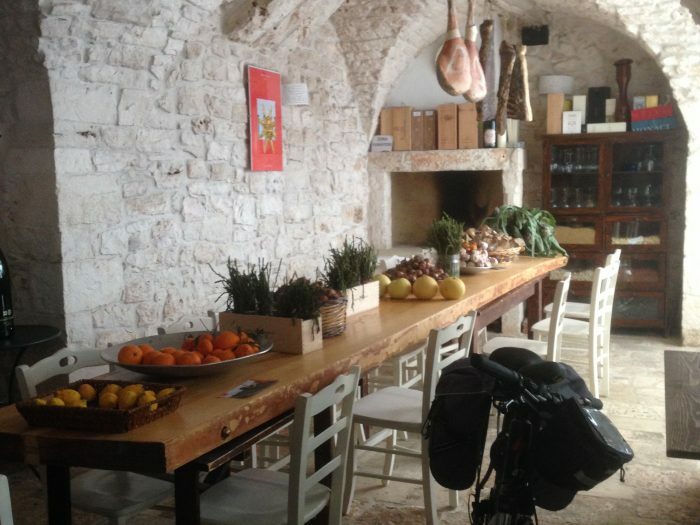 Leaving Oria, and passing by Erchie, you’ll arrive at a country farm in the countryside of Avetrana. The journey to discover the surroundings of Avetrana will take you towards the sea, the long seaside bordered by the dunes of Torre Colimena, where you will have the chance to visit the Salina dei Monaci and also, if you like, do some birdwatching. 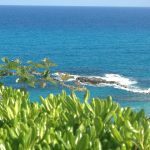 Cycling along the coast heading north, you will reach San Pietro in Bevagna, where a crystalline sandy beach – totally deserted in the spring and autumn – will allow you to sunbathe and swim in the emerald waters of the Ionian Sea. From San Pietro in Bevagna you’ll head to Manduria where you can visit an ancient archeological site of the Messapica era and the Primitivo Museum (primitivo is a high-alcohol red wine). You’ll return to Avetrana in the afternoon. 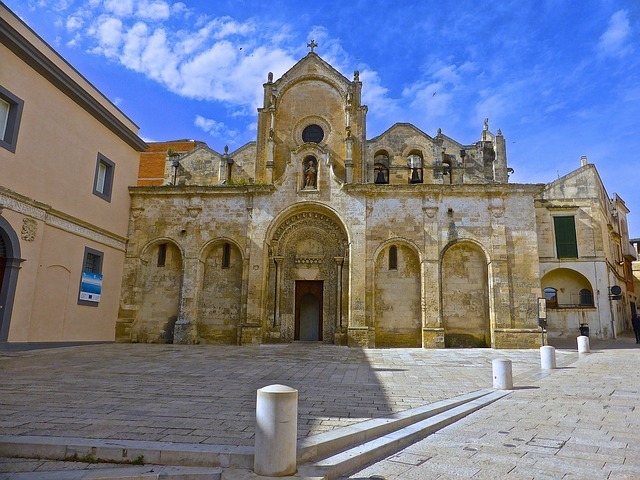 On the last day of your trip you’ll head towards ‘Florence of the South’: the city of Lecce. Along the way, you will pass through the fascinating ghost town of Monteruga, founded in the 1920s and completely abandoned in the 1980s. 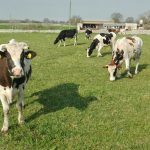 This is the area of ‘Salice Salentino’ – DOCG wine famous all around the world. You’ll cross few small villages where you’ll find the squares filled with elderly residents, hats pulled down against the sun, discussing politics and agriculture, and it seems that time has stood still. Later in the afternoon you’ll reach your destination, the City of Lecce.